Honestly, I got free the Dr. Jart+ Dermaclear Trans-Foam Clay White (50.28 ml) when I bought the Dr. Jart High Protection UV Every Sun Day SPF50+/PA+++ a while ago. 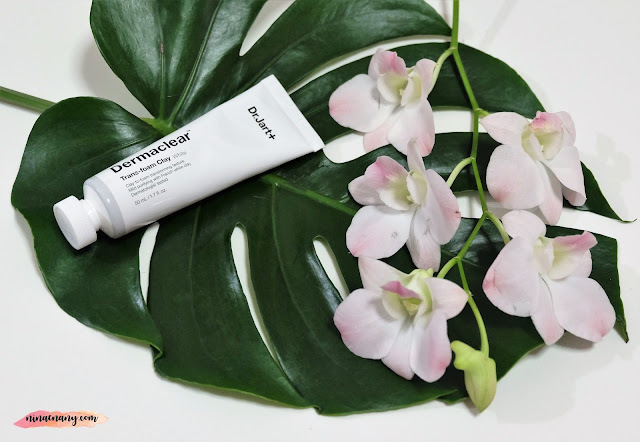 After I make some research about it, I saw it is the Dr. Jart+ Dermaclear Trans-Foam Clay White Set – which is having 3 types, White, Green, and Pink. In Sephora Malaysia, the normal price is RM 98.00. A trio of triple functioning wash-off clay masks that transform into a foaming cleanser upon application of water, each providing different skin care benefits while removing excess oil, cleansing pores, and exfoliation skin. There innovative, multi-action Trans-Foam Clay cleansers are applied like a clay mask but transform into a gentle foaming cleanser, removing makeup, absorbing oil, and detoxifying your skin. When splashed with water, the mineral-rich French clay lathers to foam that brightens tones, and removes dead skin cells for a fresh and healthy-looking complexion. The fine natural clay particles charged with hydrogen mineral water and other natural ingredients deeply cleanse pores and gently exfoliate. The clay comes in three colors; Calming White featuring chamomile to provide a mild and purifying effect; Moisturizing Pink featuring hydrating lotus flower extract to deliver a hydrating and purifying effect; and Refreshing Green featuring tea tree, eucalyptus, and lemongrass extract to control excess sebum and refresh. The formulated without Parabens and Phthalates. The suggested usage of this product is spread liberal amount on skin and let dry around three to five minutes. Then apply warm water and rub in the circular motion to transform the dried clay mask into a foam lather cleanser. Rinse off thoroughly with warm water and remove all residues. The product may be used to removes base makeup (not heavy makeup). It is also can be used on daily basis or as needed too. After I try this product (on white one), I usually apply it and walk away from the bathroom and then go wash it off after 3 to 5 minutes. I use it at the night as a double cleanser to calm my skin. I'm just amazed at how well this product works on me. It helps my skin calm when it feels more irritated than usual. My skin feels soft and no more redness. I can see a noticeable difference after 1 week using it. I would like to give the 4.5 stars out of 5 stars to this product.